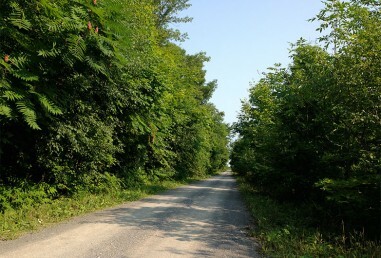 The Millennium Trail is a multi-use recreational trail that stretches 45km and traverses Prince Edward County from Carrying Place to Picton. 1. 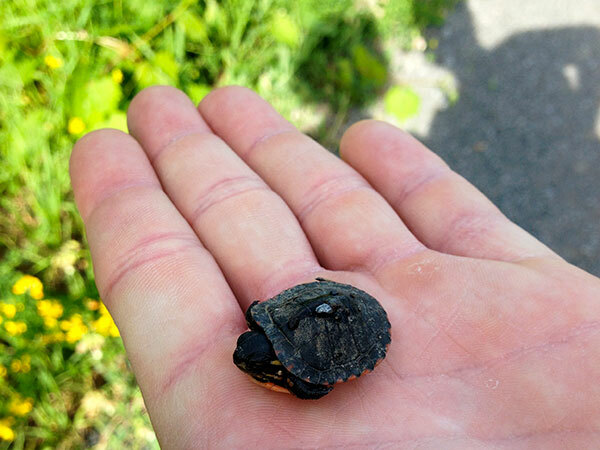 Experience nature in all its glory – the trail passes by farmer’s fields, through forests and marshes and you can often spot rabbits, birds, turtles and other wildlife on the trail, not to mention the different plants and trees that thrive in the area. 2. Get some exercise – you can walk, jog, ride your bike on the trail in the summer and cross-country ski or snowshoe in the winter. 3. Pick some wild flowers for your sweetheart. Major points. 4. Several wineries are located close by the trail. You can use the trail to get from one winery to another, or simply enjoy a short walk on the trail after you stop in to the winery for a tasting. 5. From Wellington, you can walk (about 30 minutes) or cycle (about 15 minutes) north to Karlo Estates. 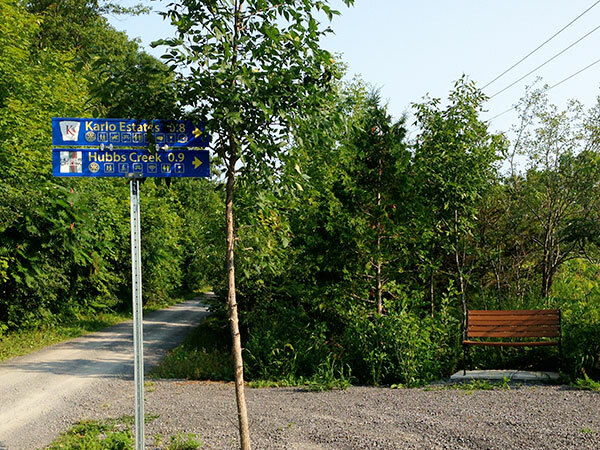 This portion of the trail was upgraded recently (thanks to the Rotary Club of Wellington for rallying the community around this project) and features a wide trail with hard-packed gravel that is easy to cycle on. Karlo Estates have created a direct path from the trail to the winery, where you can relax on the sundeck and sample from a variety of wines including their award-winning port-style dessert wines. 6. From there, you can pop across the street to Hubb’s Creek, a small winery quickly gaining a big reputation for great Pinot Noir. 7. 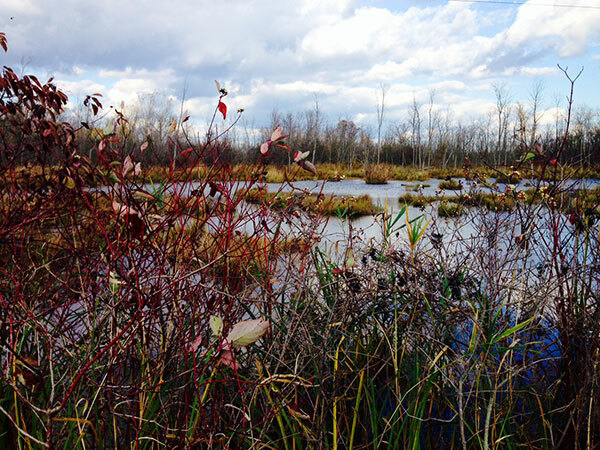 The trail passes through two of the County’s most significant wetlands between Danforth Rd and Palmer-Burris Road. These wetlands are home to ducks, geese and a multitude of other birds along with turtles, frogs and beavers. The surface on this part of the trail ranges from rocky hard-packed earth to muddy sections to chunky gravel. This is the next section of the trail that will be upgraded, with a goal of providing a better surface for all users of the trail, while protecting the natural habitat. 8. Where the Millennium Trail meets Benway Road, you’ll find Trail Estates Winery. A new family-run winery that just opened this summer, they specialize in small-batch wines. 9. Stanners Vineyard is just a short walk from the trail on Station Road. They’re an artisanal winery committed to being good stewards of the land and they hand-pick their grapes to ensure maximum quality. 10. At Palmer-Burris Rd, Harwood Estate Vineyards is a completely solar-powered winery. Drop into their tasting room to find out how they harness the power of the sun and enjoy some wine on the outdoor patio. 11. Four-legged friends love the trail too! It’s a great spot to walk your dog. 12. Stop and listen – over 200 different species of birds pass through Prince Edward County each year. Even if you can’t see them, you can often hear their song if you stop for a second to listen. 13. Black Prince Winery is located near the trail in Picton. One of the oldest wineries in the County, this summer they’re offering live demos of the art of wine barrel making on selected weekends. Next one is this Saturday, July 19. 14. The trail is beautiful all year round – in the summer when the foliage is in full bloom, in the fall when leaves are colourful, in the winter when there’s a fresh blanket of snow over everything, and in the spring when nature comes alive. Have another reason why you love the Millennium Trail? Let us know in the comments below. Yes, ATV’s are permitted on the trail. Does ATV include dirt bikes as well? The Millenium Trail is NOT for bicycles. Most of it is like an abandoned dirt road with big chunks of rock or has a foot deep of loose gravel. We had to walk with our bikes for a good portion of it. At least from Wellington westward it is a VTT trail (of which we encountered 3). Also expect golf carts. Where can I get a map or brochure of this trail? I also am looking for a map of the train from start to finish. I am a senior and plan to walk the trail in portions over the summer so a details map of the trail would make my planning easier. thanks. I am desperately trying to find a map of the trail but I cannot access the web site given above. Is there another way to get a map? Love this. Thank You. We are enjoying all the different sections of the trail. I love how you can easily do a section at a time if just out for short hike. My goal is to get it all covered by year end. May I ride my horse on the trail? Yes, I have seen horses on the trail. I see that someone early (Sept 2015) mentioned that they do not think the trail is suitable for bikes. We had planned on riding our cross bikes. Is the trail suitable for this or not? 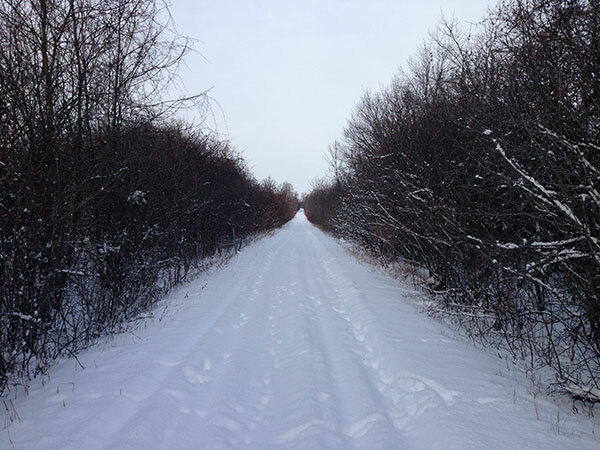 John, the trail surface varies considerably…it is not consistent for the whole length of the trail. Some sections are suitable for bikes, others not. Check with the Bloomfield Bicycle Company, they have a map showing which sections are bikeable.